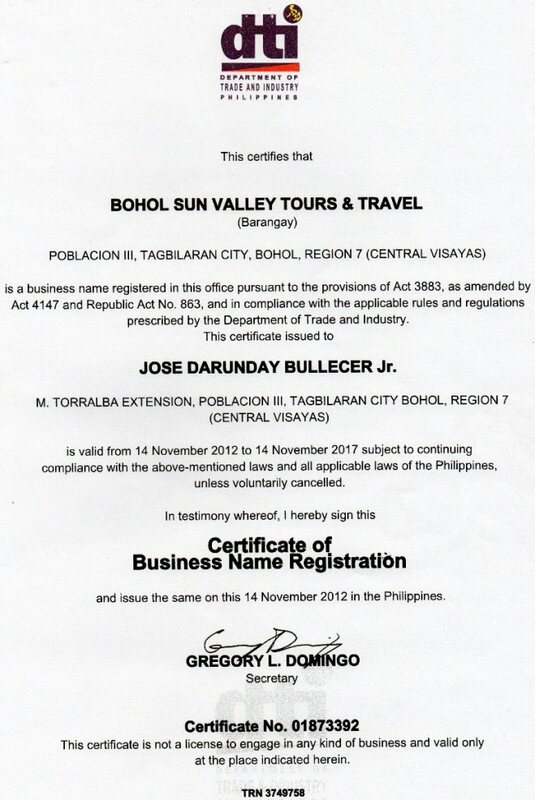 BOHOL SUN VALLEY TOURS & TRAVEL (BSVTT) is a duly registered entity in the Department of Trade and Industry in the Philippines. Its office is located along M. Torralba Ext., Tagbilaran City, Bohol. BSVTT is an affiliate of BOHOL.COM GLOBAL MARKETING. Make your arrangements now and we'll be glad to serve you. We give discount or commission to Tour & Travel Agencies.